My name is Sharon Napier. I am the youngest of five kids, a mom to two girls who are also in advertising in NYC, a wife, a fitness fanatic, and a proud, first-generation, Italian-American. 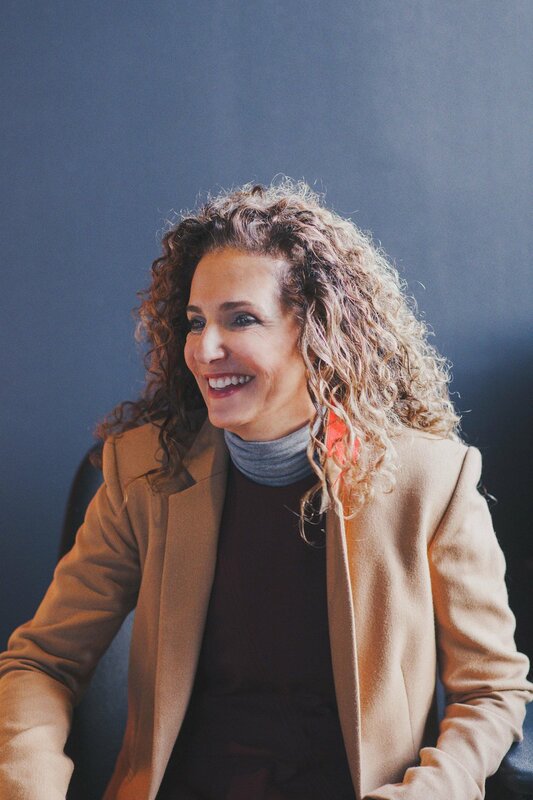 I am also the CEO of Partners + Napier, an advertising agency that I founded in 2004, and is now a nationally recognized agency, 150-people strong. Some of our clients include Constellation Brands, Excellus BlueCross BlueShield, BMW and MINI Financial Services, Highmark Health, Friendship Dairies, Delta Vacations, Gannett/USA TODAY, and Bausch + Lomb. Partners + Napier is also a proud part of Project Worldwide, an employee-owned independent network in service of creativity. It’s hard to name an actual profession, but I knew I wanted to be creative or work in the creative field. My dad owned a hair and beauty supply company, so creativity was NOT in short supply (yes, pun intended). My creative outlet was puppet shows of all things. When I was 5 years old, I cut and crafted costumes and built the stage on my own and I made a business out of it. My family members could get a ticket to the Sunday afternoon show for 25 cents. My dad was incredibly supportive of it all, he had a sense it would lead to something big one day. I actually started my professional career in social work, not advertising. It was really tough emotionally and I quickly learned it wasn’t for me. Shortly after, I worked on a political campaign. One of the campaign managers told me I’d be good in advertising, so I gave it a shot. I fell in love with the job and realized that when you do something you’re passionate about, it leads to good things. This was in the 80's, a time when women weren’t taken very seriously. I wanted to create my own agency but I had a few things stacked against me: not many women had done it before. There weren’t any blueprints to follow or venture capitalists knocking on my door. And I was in Rochester, New York... 250 miles from Madison Ave. At the time, if your agency wasn’t in a major metro, you had an uphill battle ahead of you. That’s when I learned my most important business lesson: never take no for an answer, at least not without challenging it first. My favorite question is, “WHY NOT”? There were quite a few people who tried to discourage me, by giving me all the reasons why it wouldn’t work. I very consciously set about proving them wrong. I tapped into our savings, cashed in IRAs and took out a second mortgage to make it happen. I couldn’t have done it without the people I call, “The Brave 40” - women and men who pooled their money to buy the sign over the door of our building that we walk under every day. Note that we didn’t put my name first. We’re Partners + Napier, which speaks to the power and importance of collaboration. Of course, developing that mental toughness takes work. In my career, I’ve been called too ambitious, bossy, and rigid. I’ve been accused of not spending enough time with my family. When I was first coming up in the business, reporters would comment first on my hair and what I was wearing and only then move on to my accomplishments as a leader. My best advice to someone just starting out, or really anyone, is to never underestimate the power of observation. You can learn much by simply watching others- your family, friends, mentors, colleagues– anyone. I spent a lot of time as a kid at work with my dad, watching transactions, interactions, experiencing his business in full (without even knowing it). There is no doubt in my mind that experience contributed to how I built my career. And then I instilled this practice of observing into my kids. My daughters, Ali and Carly, were often in the office with me. They’ve been to award shows and conferences and I’d say that rubbed off on them. Both of my girls are growing their own advertising careers in New York City as we speak. When you observe, you grow instincts and a sense of awareness of things. It gives you an advantage you might not have otherwise. Also, I wish someone had told me to stop answering the “how do you do it all, work-life balance” question. It’s something men NEVER get asked and women always have to figure out how to answer it. Eventually, I stopped answering it. For me, it’s about work-life integration, making work a part of your life and vice versa. And everyone should be required to answer that question. There are a lot of people, places and things that inspire me and keep me thinking. Like cities. Spending a day walking around any city, Madrid, Rochester, even a small town – you can learn so much about its history, people, and architecture just by spending a day wandering around. It’s endlessly inspiring. And great, smart women inspire me. Some who have preceded me, like Shelly Lazarus, the former CEO of Ogilvy & Mather. My daughter started her career at her firm and had incredibly positive experiences with Shelly, even though my daughter was a very young, junior executive. Shelly exudes her personal brand in everything she does- she’s warm, authentic, smart and humble. I’m inspired by women who work alongside me, like our president, Courtney Cotrupe. Courtney is a strategic thinker, creative soul and awesome person (and mom). Her energy, humor, it inspires me. I’m so happy she’s a part of my leadership team. The collaboration. Hands down. Watching all sorts of thinking and creating come together into amazing work for our clients, there’s nothing like it. I love it when a few right-brained people are on the same team as left-brainers. That usually results in some really creative AND insightful work. Cordell Cordaro and the late Ramon Santiago – both created fascinating pieces that I dream of having in my home someday. Luke Dutton and Kevin Licciardi – two incredible hybrid artists and designers, like holistic creative directors for your home. Jeannine Klee - the owner of Parkleigh. I could stare at the window displays for hours. Louis Perticone - the founder of ARTISANWorks, which exudes creativity – it’s incredible.